Teruki Hanazawa is stunned to learn that there is another Esper. He is set on determining the “hierarchy” between them. It is clear that the philosophy regarding the use of psychic powers on humans. Mob’s stance is shaped by Reigen, whom compares psychic powers to knives. Teruki uses a telekinetic tackle, flinging Mob through the air and slamming him to the ground. Seeing that Mob won’t fight back, Dimple stands in-between, Teruki and Mob. He transforms to his larger form. Without question, Teruki exorcises Dimple. At first, Mob seems to be upset, and his progression toward explosion increases to 50%. I’m disappointed Dimple’s “dead.” He was the comic relief i this series. He will be missed. Mob’s calm personality and refusal to attack, angers Teruki. 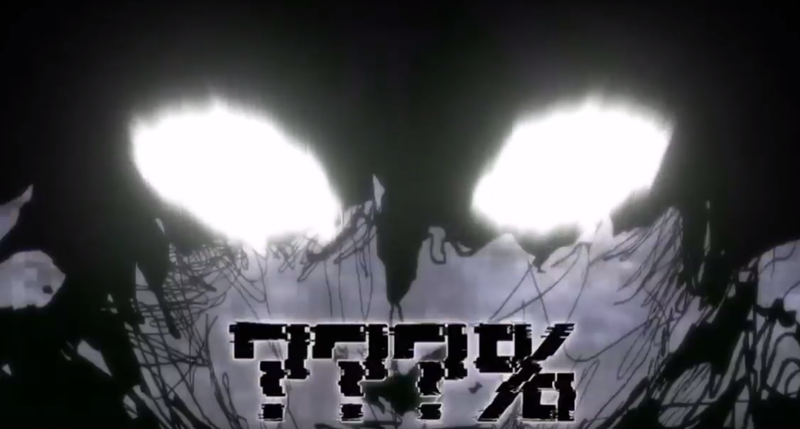 He releases his full power, however, Teruki has no intention of killing him. While fighting Mob deflects a number of knives, cutting of his hair. Teruki turns his tie into a sword, but to no avail. Mob concludes that Teruki is angry at him because his psychic powers is all he has. Mob calls him “average” and Teruki flies into a rage and begins to choke Mob. The progression towards explosion begins to increase dramatically at this point. Eventually, Mob passes out. While in a state of unconsciousness, Mob’s power explode’s. Teruki begins to defend himself with a barrier. Mob blows right through it, along with Teruki’s clothing. Mob then begins to absorb ALL the energy in the atmosphere. Mob destroy’s the school, but regains consciousness. He begins to cry as he realizes that he failed to stay in control again. What is surprising is that Mob’s progression towards explosion continues. However, his sadness is the trigger this time. The result is Mob restores the school. This episode through a wrench in the series. When, Mob is unconscious his power becomes terrorizing. What can be done to stop him remains to be seen, and whether he can control himself at some point. 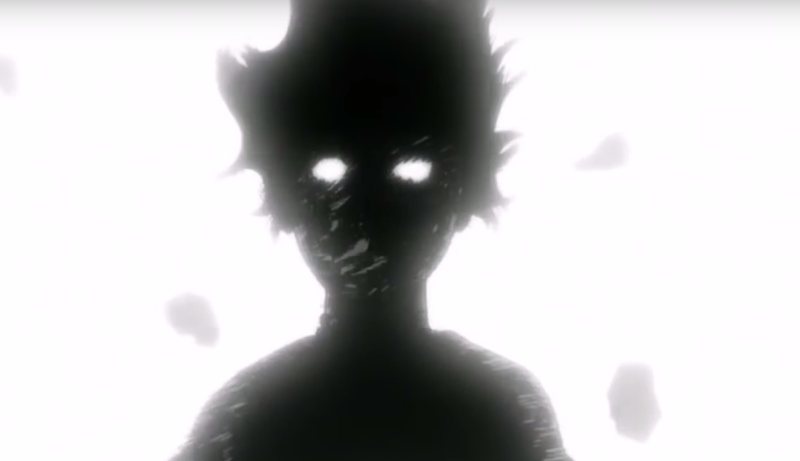 As always, the animation was amazing and the black and white contrast when Mob lost consciousness was dynamic. It think it visually captured Mob’s mental state perfectly.